Beautiful storage and refrigeration solutions for any wine collection — whether you're stashing a few cases or saving a few hundred bottles. All of our wine cellars, fridges, bars and wine rooms are handcrafted and can be fully customized for your space, style and collection. 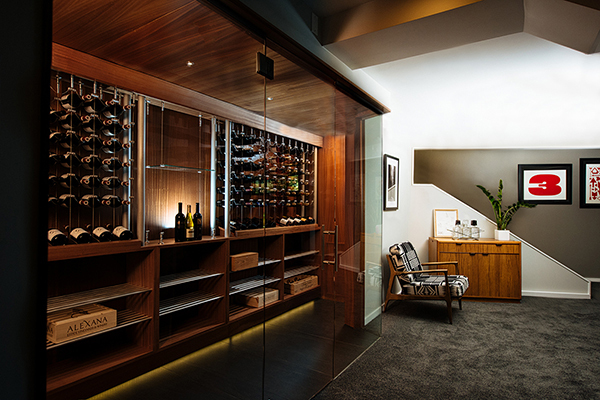 Transform any space in your home into a temperature and humidity controlled wine room to protect, store and display your entire wine collection. With clean lines and modern good looks in three luxe finishes, our Brock Series Dual Wine Refrigerators store up to 36 bottles — including your ready-to-serve Whites, Rosés and Sparkling Wines. Compact and considered design for 70 - 160 bottles, available as a wine cellar or a wine bar, the Credenza is perfect for small spaces and urban places. Designed and engineered to house your coveted wine collection beautifully, our largest cellars hold collections from 120 to over 400 bottles. “Superlatives all around! Design, Aesthetics, quality of materials and workmanship, delivery, installation, and functionality were all to perfection.” - Fred K.